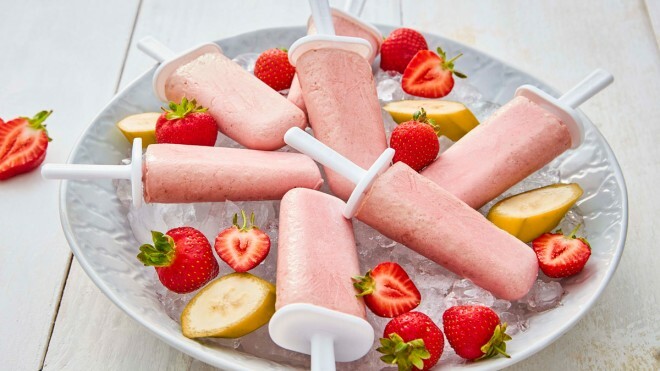 Easy peasy pops for the summer that are a little bit healthier. Wash and hull the strawberries, peel the bananas and then blitz them together in a food processor with the milk until smooth. Taste the mixture and add a little honey or sugar if you like it sweeter. Pour into lolly moulds and freeze until solid, then enjoy. These lollies are great for experimenting with to find your own flavours, try different berries or perhaps making with fromage frais or yoghurt instead of milk.